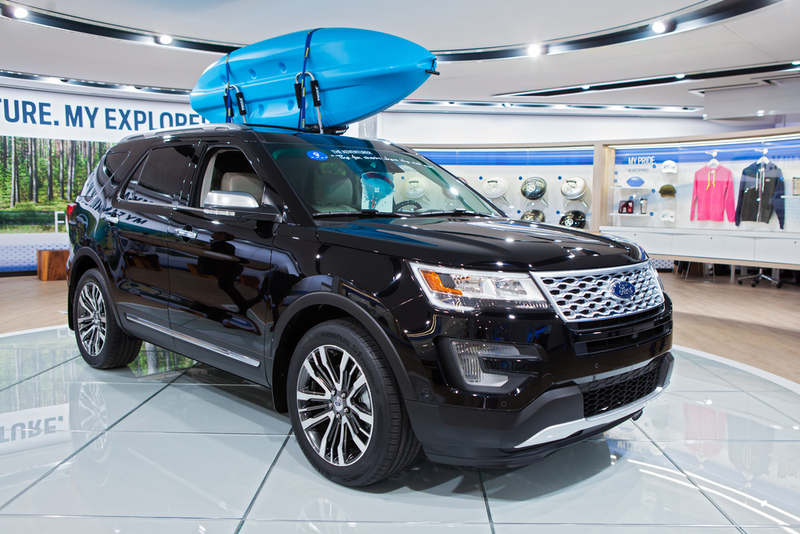 The 2017 Ford Explorer has come to Fayetteville, N.Y. The model comes with updated features in the interior, an improved audio system and excellent safety and security options. The new Explorer model features an interior infused with top-shelf amenities, including front and rear reading lights, speed sensitive wipers, a trip computer, fully automatic headlights, a power liftgate, power windows and one-touch window functionality. The third-row seats provide extra room for maximum passenger capacity. The Explorer’s stereo system comes with a CD player, MP3 options, a steering wheel with audio controls and nine speakers that provide sound throughout the cabin. Safety and security was a priority when Ford designed the 2017 Explorer. The vehicle includes head curtain airbags, front-side impact airbags, traction control, brake assist, a panic alarm, an emergency communication system and four wheel disc brakes with ABS. The vehicle's electronic stability control ensures solid grip on the surface of the road, no matter how slippery or challenging driving conditions are.